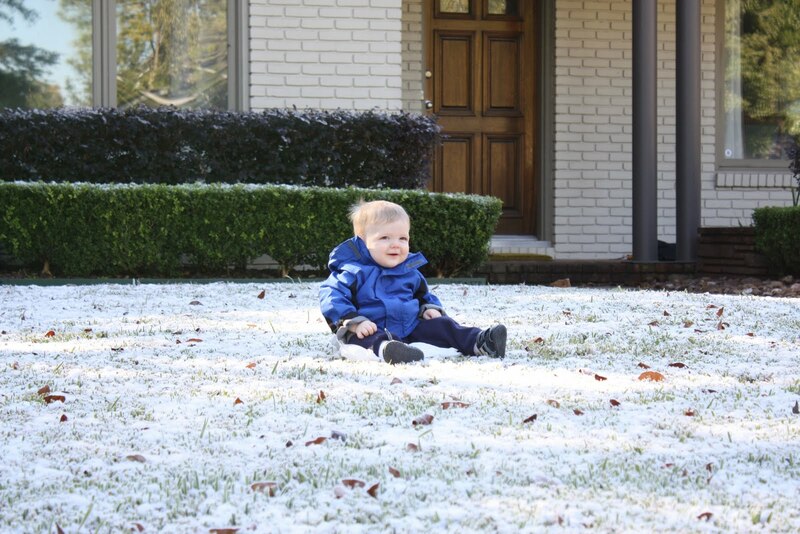 I am sure everyone has heard about the snow we had in Houston over the weekend. It really was pretty amazing. There was more snow than I ever thought possible in our southern city. 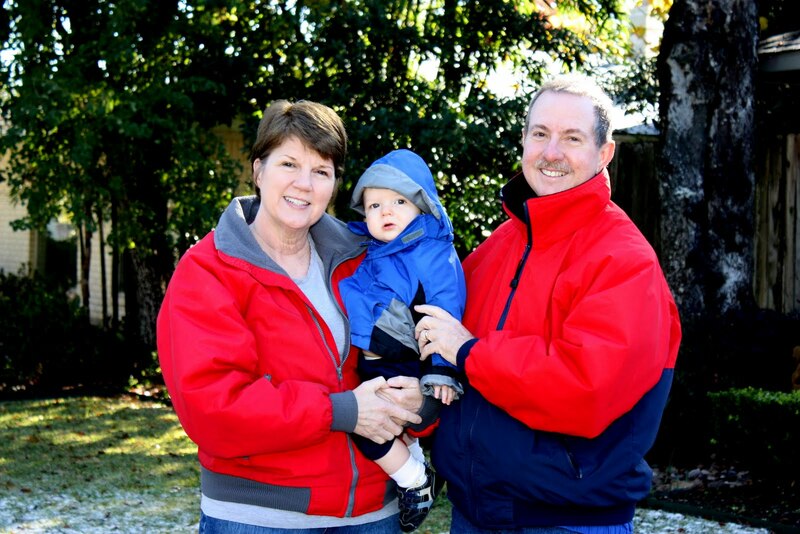 My parents were home with Zach and by the time he was up from his nap the snow had stopped. So we just hustled him outside to sit on a plastic bag and take some pictures. Keep in mind we are all about 20 feet from him, on the sidewalk telling him to smile and making funny nosies. Zach mainly wanted to know why he was by himself on this trash bag, and our neighbors wanted to know how we lost our minds.